Whether you need to buy bulk hoodies for a screen printing project, you are going use them for embroidery, or you are doing some fabric painting with the Boy Scouts, you need to get the best possible deal so your piece price when you buy blanks is rock bottom. Once you start getting charged for mixing sizes, mixing colors, and then shipping, your piece price becomes more than retail. Why would anyone pay retail when they need to buy bulk hoodies online? 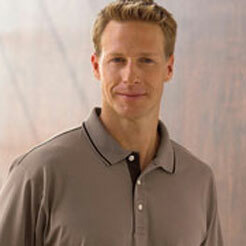 The answer, many so-called wholesale distributors of bulk shirts are simply using smoke and mirrors to make you think you are getting a deal when you are not. So here is how this plays out many times on sites like Amazon or eBay. These supposed wholesale bulk shirt suppliers are nothing more that stay at home moms and dads who found a local source to get some bulk apparel, like a flea market or clothing store going out of business sale. So while they paid next to nothing, the inventory is weak to say the least. 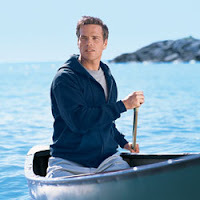 The bulk lot you are buying is comprised of bulk hoodies in the sizes and colors they have on hand. That is not the only issue. 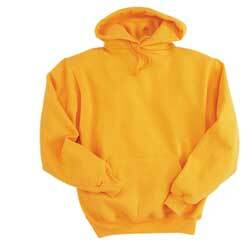 When you are buying bulk hoodies for screen printing, you need a variety of sizes and colors that the client pays for. So try and mix the lot, and now the price starts changing because you broke the bulk lot they had originally tried to offer you. Don't forget the shipping scam. If they offer you free shipping, then they have to make that money up somewhere. The price per piece on a bulk hoodies lot of 50 pieces may only be $1 more, but that covers $50 in shipping, so you think you got the deal of the century, but you really didn't. A true wholesale distributor of bulk t-shirts, blank shirts, bulk sweatshirts, and blank apparel for screen printing like the T-Shirt Warehouse has been in this industry since 1999, and reputation is everything in this game. This is how the bulk hoodies deals are supposed to work. If you only need a dozen or more blank bulk hooded sweatshirts, you pay a low price plus minimal shipping. As you increase the size of the lots, regardless if you are mixing all the sizes and colors, the price drops per piece, and once you hit a threshold of $100, the shipping is free too because of an agreement between the wholesale distributor and UPS. Keep adding more blank bulk hoodies, the price keeps dropping per piece. Smart screen printers have known all along that in order to increase their profit margin when they are printing bulk hoodies, you buy your blank apparel in bulk and the more the better. If you need to get a customer in at a certain price, you order a few dozen more pieces of bulk apparel and you get the price you need. Try to negotiate that type of pricing on eBay, Amazon, Bonanza, or Craigslist. The best wholesale distributors of bulk blank apparel are available around the clock, so dropping them a message about pricing could score you an even sweeter deal.